A body sensor network (BSN) field is one of the hottest topics of research that could allow inexpensive and continuous health monitoring with real-time updates of medical records. To form microsystems for such BSNs, a wideband transceiver is presented to achieve 60Mb/s data rate by employing a high input impedance and an equalizer at the RX front-end, transient-detection RX architecture, injection-locking-based clock recovery, and 3-level direct digital Walsh-coded signaling at the TX. The transceiver operates with high energy efficiencies of 31pJ/b and 150pJ/b for the TX and RX, respectively. Junghyup Lee received the M.S. and Ph.D. degrees in electrical engineering from the Korea Advanced Institute of Science and Technology (KAIST), Daejeon, Korea, in 2005 and 2011, respectively. In 2011, he joined the Institute of Microelectronics, Agency for Science, Technology, and Research (A*STAR), Singapore, where he was engaged in the development of high-speed wireless transceivers for biomedical applications and reference clock generators. 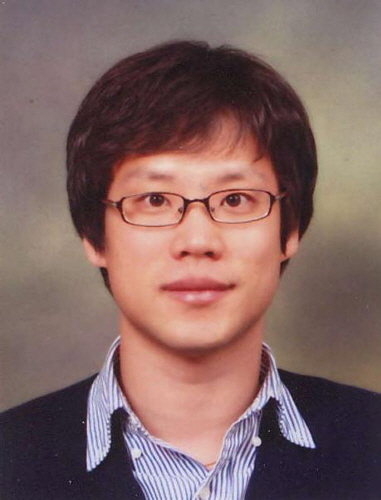 Since 2016, he is an Assistant Professor at the Department of Information and Communication Engineering at the Daegu Gyeongbuk Institute of Science and Technology, Daegu, South Korea. His research interests include mixed-signal and analog circuits for low-power biomedical devices and PVT tolerant circuits.